Dr. Chris Carpenter was born and raised in San Leandro, California, and received his bachelors degree at the University of California, Irvine. 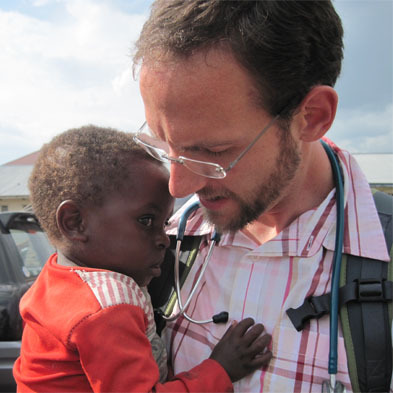 After finishing medical school at the Albert Einstein College of Medicine and a pediatric residency at the University of California, San Francisco, he set off on his lifelong mission to work as a pediatric doctor in war-ravaged areas of the developing world. In October of 2009, he stepped foot in Goma, Democratic Republic of the Congo, for the first time. He was assigned to work at the HEAL Africa Hospital where he cared for some of the sickest and most impoverished children in the region. Day after day, he cared for kids whose daily existence was extremely harsh, yet most of them had an unbelievable will to survive. He worked hard at making them better with the few resources at his disposal so that they could continue fighting for a better life.